This romantic port town has been named the Venice of Southern France for its numerous canals and quaint streets. It is also admired for its beautiful beaches, scenic views and the rusty ochre tones in which the buildings are painted. 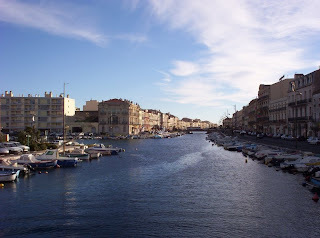 Although the area has been inhabited since the Bronze Age, it was sparsely populated until the 1600’s, when work on the creation of the port of Sète began. The construction of the port and city took 15 years, and the work included the building of dozens of dykes, basins, bridges and aquaducts. Today, Sète’s pretty port is not only a drawcard for travellers, but still functionally important, acting as a major centre for fishing in France. The town is divided into two parts – the Port and Mount St Clair. Sète is great for water sport enthusiasts: sailing, swimming, scuba diving, water jousting tournaments — Sète has almost every water sport you could imagine! The closest beaches to the town are Lazaret Beach and Corniche Beach, which are lovely. You can also see some of the fastest sailboats in the world, as Sète is where the French do their training for the America’s Cup. Jousting tournament — Every summer, the “Joutes Nautiques” is celebrated in Sète on the canals. It is similar to the traditional medieval jousting on horseback, except that the ‘horses’ are special canal boats, manned by ten oarsmen, and the knight gets a swim in the canal if he is ‘de-horsed’! The winner of the tournament gets their name engraved on a shield, which can be seen on display in the Musee Valery. La Rouille de Seiche – A mix of fish, tomato sauce and aioli. Daily markets – The daily open-air market offers an array of fresh produce. On Sundays, there is a great flea market. Canal du Midi – The historic Canal du Midi ends in Sète, 240km from where it begins in Toulouse. The Canal was originally constructed as a short-cut, saving a whole month of sailing, and avoiding hostile parts of Spain and Barbary pirates. The Canal du Midi was opened officially as the ‘Canal Royal de Languedoc’ on May 15, 1681. The Canal is quite complex, consisting of intricate locks, bridges, aqueducts, dams and a tunnel. It was still used commercially until 1989, but now the Canal has become more of a tourist attraction and place for leisure activities – such as rowing, canoeing, fishing and cruising on luxury hotel barges. The climb up from the port to Mount St Clair is well worth the effort. There are great views of the village and port below, and also of the Pyrennees. The main cultural attractions are also to be found up here too. Chapelle Notre Dame de la Salette – This church has been many things – first, it served as a fort for the Duke of Montmorency, but when it was dismantled in 1632, is became home to hermits. The hermits spent their time charitably, praying for the souls of fisherman and lighting fires to warn of approaching pirates. In 1897, the structure was converted into its present form – the church, decorated with scenes of life in Sète. The Sailors Cemetary (Le Cimetiere Marin) – This cemetary was constructed in 1843 as a resting place for sailors. It was built using old rock that had been used in the building of the port itself. The cemetary was immortalised by the poet Paul Valéry, in his poem “Cemetery be the Sea”. Valéry was born in Sète and is buried here. Musée Valéry – Nearby to his resting place in the Cemetary is a museum dedicated to Valéry. Here you can find not only mementos and works of the poet, but also exhibits relating to the history of the town. There is also a room devoted to another famous inhabitant of Sète – the singer Georges Brassens. Sète is also a good base for exploring the South of France – it is nearby to many other attractive towns and cities, such as Montpellier, Agde and Beziers. 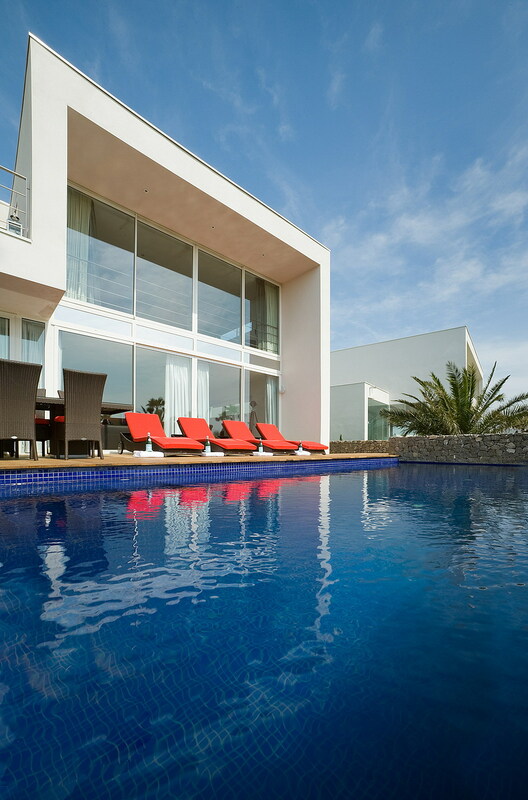 We have two stunning modern villas in this area that we recommend in particular. 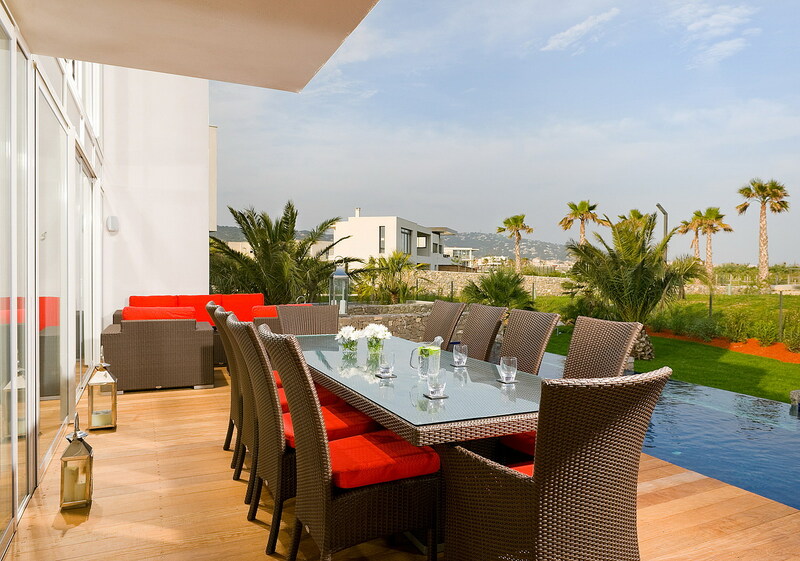 Chic, spacious, and overlooking the beach, a holiday in either of these beautiful holiday homes would make for an unforgettable experience. Luxury greets you from arrival, with a champagne reception awaiting you. The lovely soft furnishings ensure that you’ll immediately feel comfortable and at home. Both villas contain many conveniences, such as an espresso machine, home cinema, sauna, children’s games room, board games, wifi and secure on-site car-parking – as well as much more. But wait, there’s more! Fresh bread, pastries and papers will be delivered on a daily basis, and the bathrooms are stocked with gorgeous l’Occitane products. A holiday in one of these villas is truly a luxury experience! 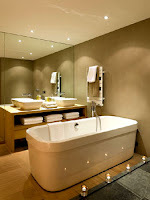 For more information or to make a booking, please visit our website. If you have any questions, please contact us – we would be more than happy to respond to any queries you might have.